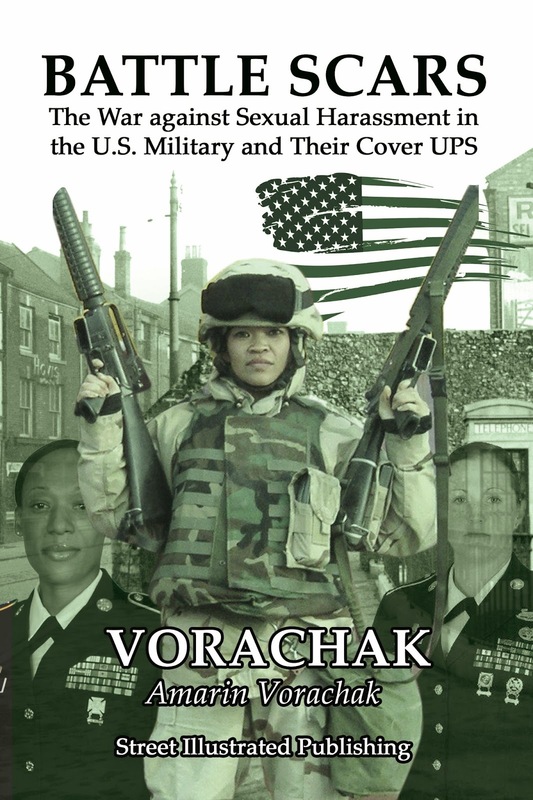 Today we are interviewing Amarin Vorachak, author of Battle Scars: The War Against Sexual Harassment in the U.S. Military and Their Cover Ups. First and foremost, I am an immigrant from Laos. I was born in Bangkok, Thailand. My family entered the refugee camp in the early 80’s with hope of starting a new and better life here in the United States. I arrived to San Diego, CA August 17, 1984. It was definitely one of the best days of my life. I have always been a diehard fan of old military movies. Writing and telling stories have always been my favorite thing since I was 6 years old. I enjoy poetry and all kinds of art which includes drawing, painting, arts and crafts and cooking. I am also into spirituality and well-being. I love meditation, yoga, and martial arts. Battle Scars is a combination of all my experiences and people that I have met while serving in the Army and speaks out against mistreatments of service members like sexual harassment, sexual assault, and hazing, which is a big issue and hot topic right now in our military. It also confirms and shed light on the covered up murder of PFC Lavena Johnson. I am extremely compelled to help seek some kind of justice for Lavena because I was deployed the same time as she was and knew that what happened to her was not suicide. As a victim of sexual harassment, assault, and hazing, I feel really strongly about the subject, not to mention PTSD and suicides. When did you decide you needed to write a book on sexual assault in the military? When I started experiencing it myself and saw that a lot of females were experiencing the same things. It was really disturbing. There were times I felt unsafe especially during deployments because sexual assault was very common. The most disturbing assaults are from people that the victims know like their supervisors and fellow service members. What do you think the military needs to do to address this issue? That question is a hard one because now we have that zero tolerance and classes to help avoid these issues, but the problem still continues due to double standards. How can there be changes when the leadership is the main ones committing these acts? For example, my last duty station in Korea,this colonel told my relative he wanted me “delivered” to his house for sexual favors. How did you conduct research for your book? I did not need to research at all because I lived it every day for the past 12 years. When incidents happen, I record it. Most of everything in this book is from experience. As far as my veteran audience, they will feel like they are not alone. There is nothing worse than feeling hopeless and alone. Ever since I started Battle Scars fan page, my inbox has been filled with stories from other service members of harassment and hazing that has gotten swept under the rug. As for my civilian readers, I mostly receive shocking reactions because the story in this book sheds light on the harsh reality in the military that CNN does not cover. It’s a definite eye opener if you will. I think I want to focus on healing and the war aftermath. Many of our service members mostly from what was told to me feels empty, depressed as though they no longer serve a purpose after leaving the service, so I most definitely want to focus on the upbeat side of life after the service and finding your purpose, peace, and happiness. Yes. The message is in the beginning of the book. It is the poem called Battle Scars. You don’t have to serve in the military or wear a uniform or physically been out to the battle field to have battle scars whether they are physical or emotional. I mentioned that society believes that beauty is flawless, but I know there are many out there who shares my view that battle scars show that you are a survivor, so don’t be afraid to show them and may it be a reminder to keep fighting and standing up for what you truly believe in. Battle Scars is a symbol of a true warrior.